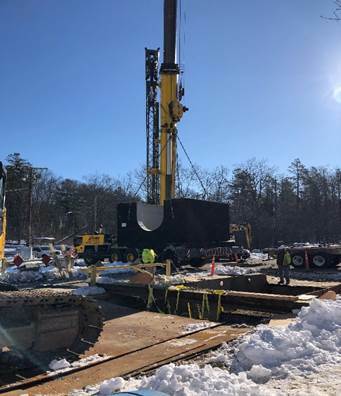 The Northern Intermediate High Project will provide water system redundancy to MWRA's Northern Immediate High service area, which serves the fully-supplied communities of Reading and Stoneham and to the partially-supplied communities of Wakefield, Wilmington, Winchester, and Woburn. 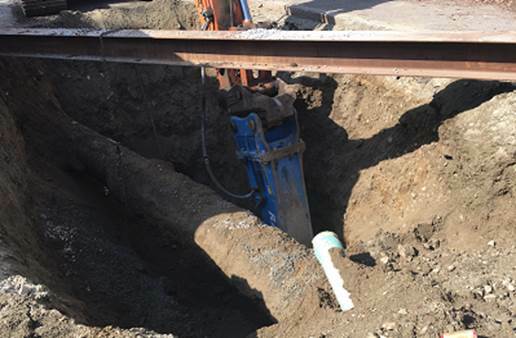 MWRA supplies water to the Northern Intermediate High service communities through a single transmission main: Section 89. Because there is currently no fully-redundant pipeline for Section 89, it can not be taken out of service for inspection and repairs. 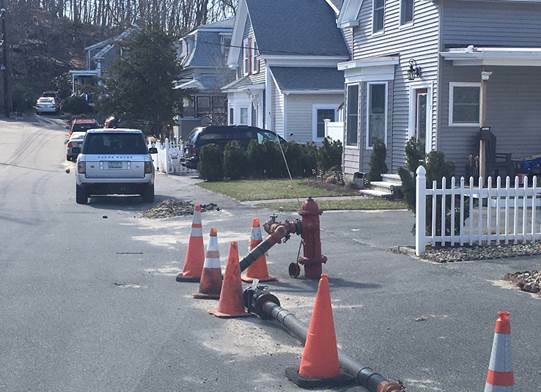 The potential loss of Section 89 would result in a rapid loss of service in Reading, Stoneham and Woburn, and possible water restrictions in Wakefield, Wilmington and Winchester. 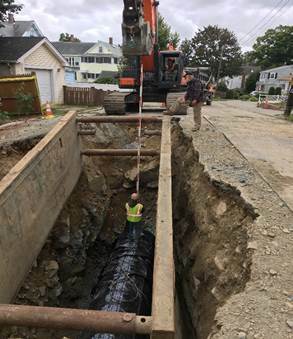 MWRA is installing a total of 36,000 linear feet of new water main varying in diameter from 12-in to 48-inch (Sections 110 and 112) and appurtenances such as valves, that will provide water system redundancy and allow MWRA to take Section 89 out of service for inspection and rehabilitation. This work is to be performed through four construction contracts. The first contract was completed in May 2015. The overall project is expected to be complete in June 2020. For more information, please contact Jeff McLaughlin at (617) 305-5762. 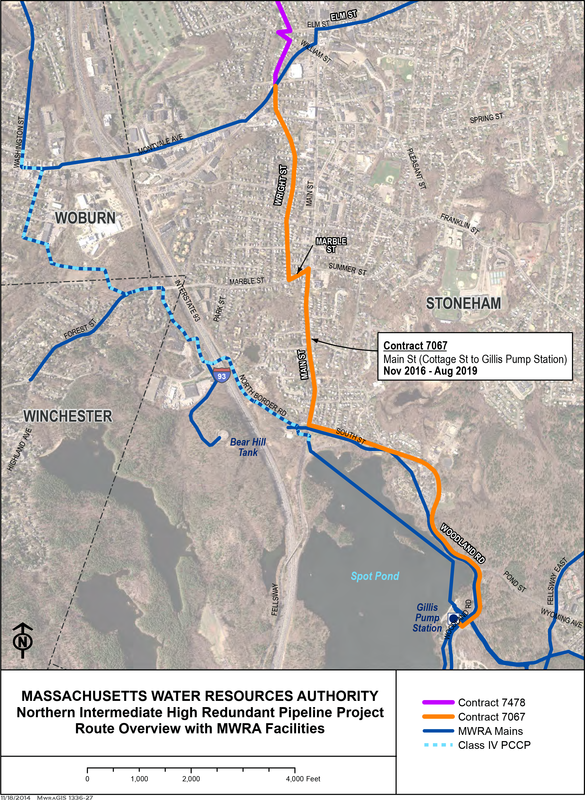 Under Contract 7067, MWRA contractors will install 13,200 linear feet of 48-inch diameter water main (Section 110) in Stoneham. This work is expected to commence July 2016 and be complete in June, 2019. Sign up for electronic project notifications and updates through our Everbridge service. Meetings to discuss traffic to begin in April. Traffic message boards will notify drivers in advance of the construction that will be occurring. 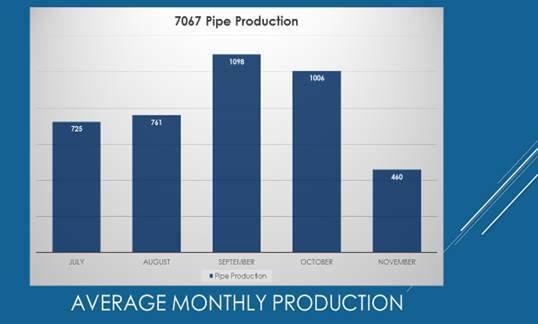 Work update: 4,853 linear feet of pipeline installed to date. 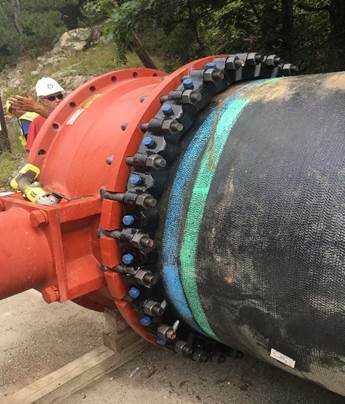 Work update: 3,994 linear feet of pipeline installed to date. 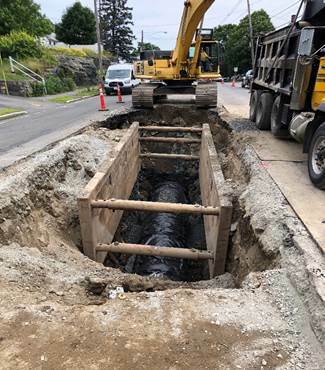 This notice is to inform you that Albanese D&S, Inc. (AD&S) has been contracted to work in your area to replace a portion of the water main in the Town of Stoneham in connection with the NIH Pipeline Section 110 Project for the Massachusetts Water Resource Authority. You will experience interruptions in your water service on MONDAY, JULY 30, 2018 for new valve installations. 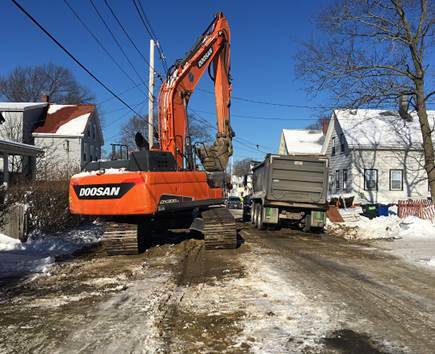 Any interruptions of your water service will occur during the construction hours of 8:30 AM-3:00 PM, weather permitting. We will strive to accommodate residents to the best of our abilities. 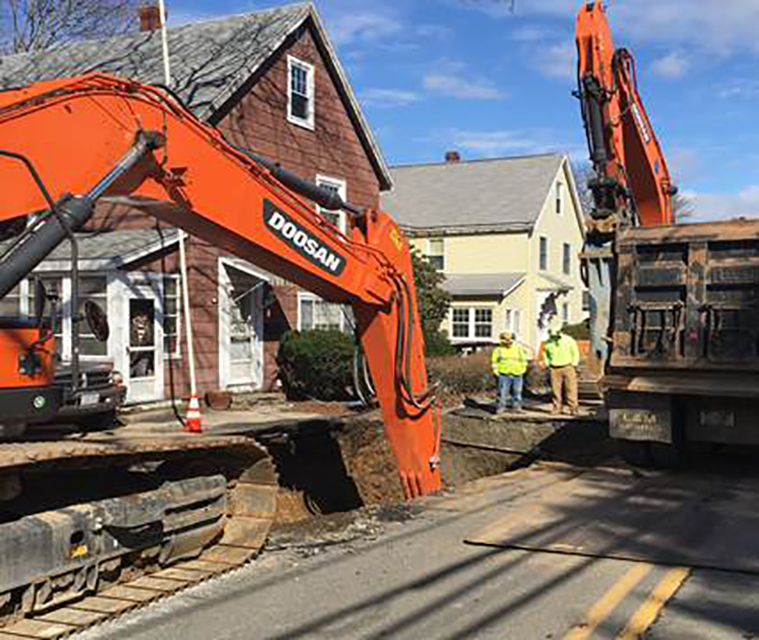 We appreciate your understanding and cooperation while we work to improve the infrastructure for the residents in the Town of Stoneham. If you have any questions or concerns, please feel free to contact us. Thank you for your patience and understanding in this regard. If you have any questions please do not hesitate to call or email us. MWRA Contacts: Jeffrey McLaughlin (617) 305-5762 or on site: Alejandro Alvarez (617) 454-7531. 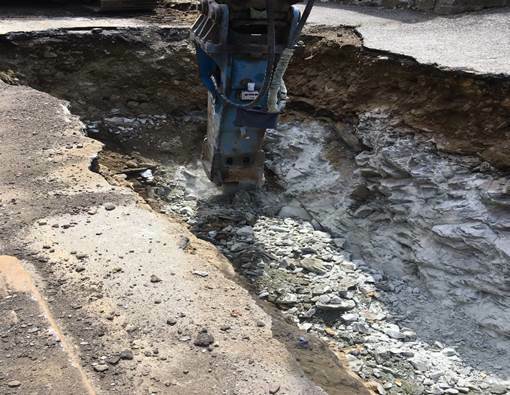 The temporary closure of Montvale Avenue has been rescheduled due to weather. Work is now scheduled to take place Monday March 19, 2018. Updated info below. 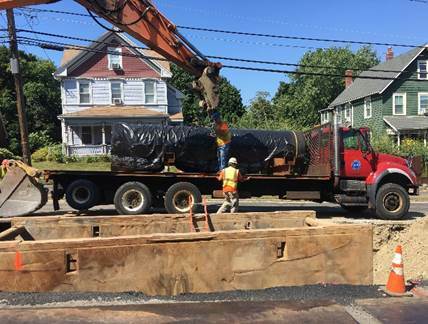 MWRA is installing a new pipeline through the Town of Stoneham for additional water supply redundancy. 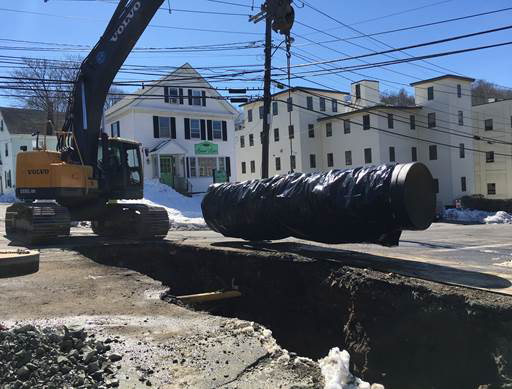 To accomplish this work the pipe will need to cross several major roadways, including Montvale Ave. For safety reasons, it is necessary to temporarily close a portion of Montvale Ave. between 8:00AM and 4:00PM starting Monday March 19, 2018. 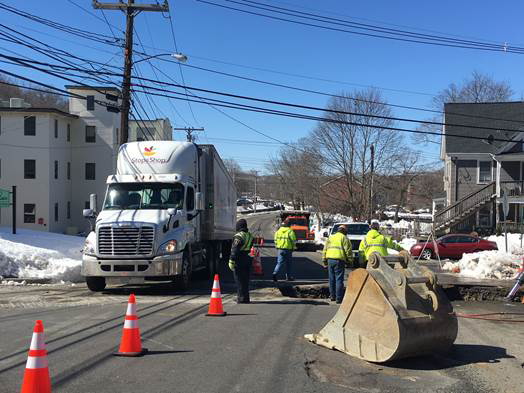 Montvale Ave. will be closed at the intersection of Cottage and Wright Streets. Pipeline construction at this location will take approximately one week to complete. During the closure of this section of Montvale Ave., it is necessary to detour traffic to adjacent roads in accordance with the attached plan using Lindenwood Road (orange dotted line) for vehicles. Traffic detour signage will be in place as well as additional police officers to assist with the detour. Please allow extra time for your commute. 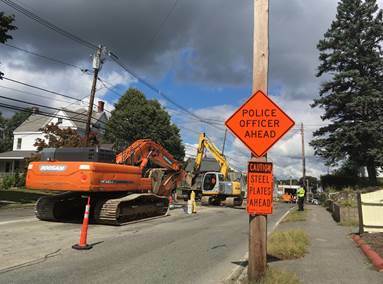 Please note if you are a patient of a medical facility or a customer of a business within the detoured area please inform the detail police officer and they will allow you to proceed to your destination. The name of this project is the Northern Intermediate High (NIH), Stoneham. any questions please do not hesitate to call or email us. 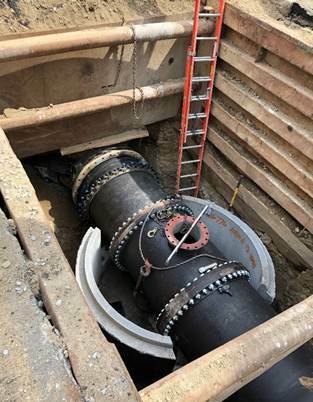 MWRA Contacts: Jeffrey McLaughlin (617) 305-5762 or on site: Alejandro Alvarez (617) 454-7531. 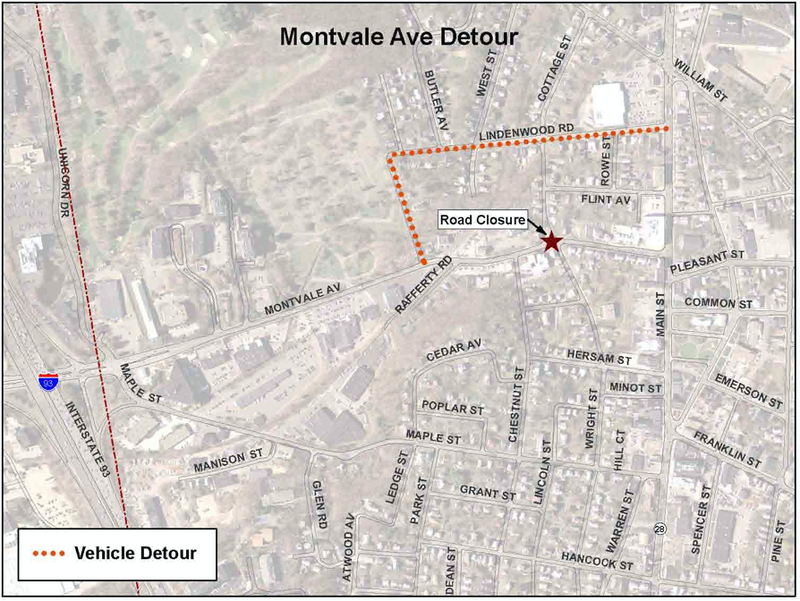 The temporary closure of Montvale Avenue has been rescheduled. Work is now scheduled to take place Wednesday March 14, 2018. Updated info below. 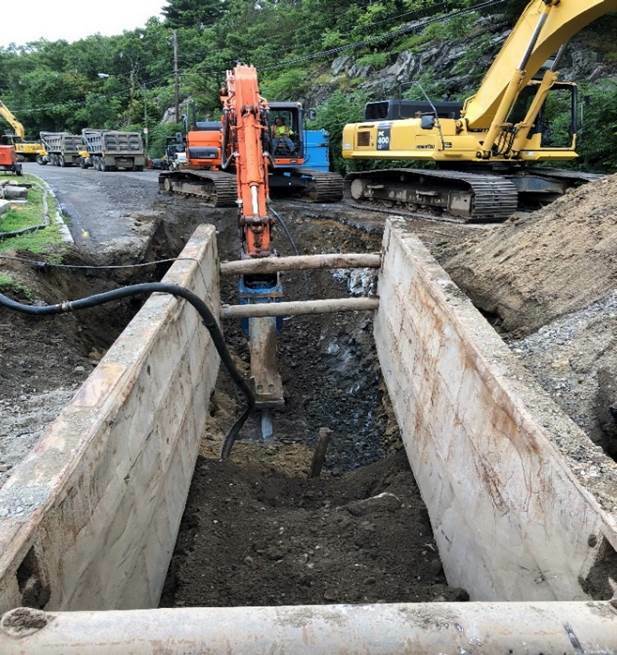 MWRA is installing a new pipeline through the Town of Stoneham for additional water supply redundancy. 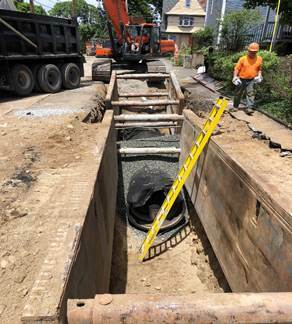 To accomplish this work the pipe will need to cross several major roadways, including Montvale Ave. For safety reasons, it is necessary to temporarily close a portion of Montvale Ave. between 8:00AM and 4:00PM starting Wednesday March 14, 2018. 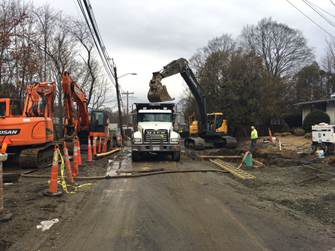 Montvale Ave. will be closed at the intersection of Cottage and Wright Streets. Pipeline construction at this location will take approximately one week to complete. A reminder that a temporary closure of Montvale Avenue has been scheduled for Monday, March 12, 2018. Updated information below. 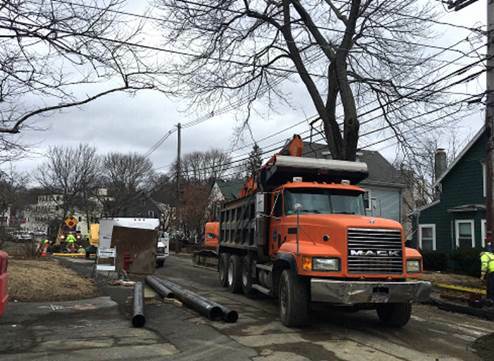 MWRA is installing a new pipeline through the Town of Stoneham for additional water supply redundancy. 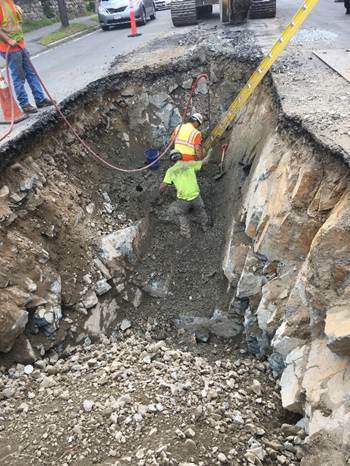 To accomplish this work the pipe will need to cross several major roadways, including Montvale Ave.
For safety reasons, it is necessary to temporarily close a portion of Montvale Ave. between 8:00AM and 4:00PM starting Monday March 12, 2018. Montvale Ave. will be closed at the intersection of Cottage and Wright Streets. Pipeline construction at this location will take approximately one week to complete. A reminder that a temporary closure of Montvale Avenue has been scheduled for Monday, March 12, 2018. 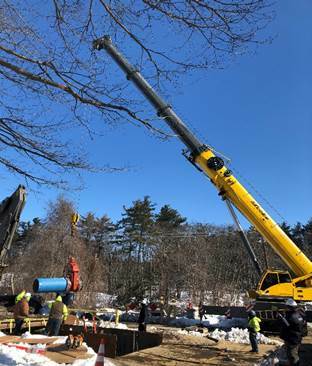 The Massachusetts Water Resources Authority recently awarded the Northern Intermediate High (NIH) redundant water main construction contract to Albanese D&S Construction Company. 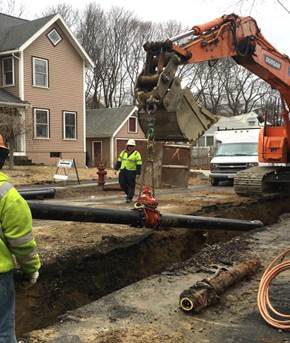 This project involves the installation of 13,200 feet of a 48 inch water pipeline within the town of Stoneham. The contract also includes the installation of new water valves and new meters. Albanese D&S plans on performing the work in phases. The first phase of work will begin the week of April 10, 2017. 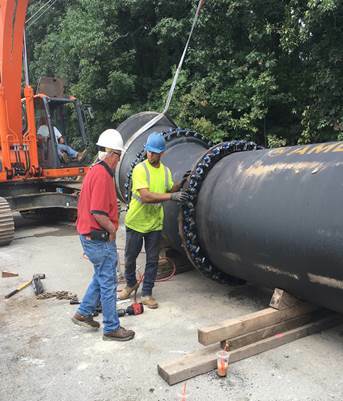 This phase of work involves the installation of a temporary water bypass system. The bypass system will be in place until late fall of 2017. Once this first phase of work is complete then the contractor will begin to install the 48 inch water line. 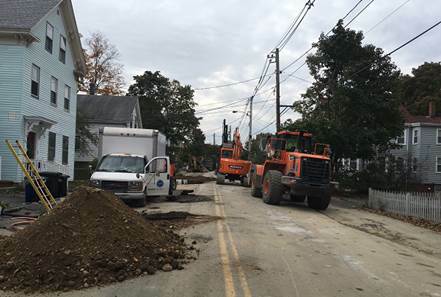 The current area of work will take place on Cottage Street between Lindenwood Road and Williams Street. Work hours will be from Monday through Friday from 7AM-4PM. 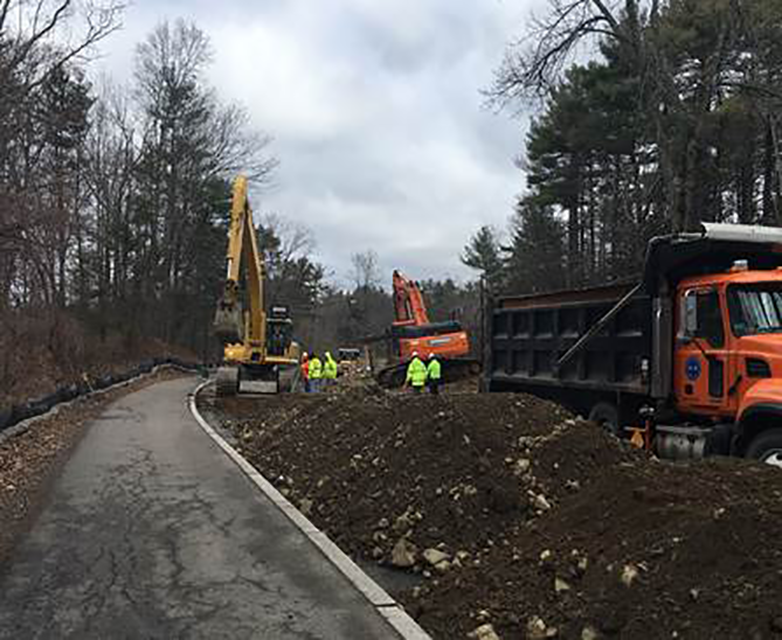 The MWRA has met with Stoneham’s’ DPW office, Police and Fire Departments, and other offices to review the construction plans, traffic plans, police detail plans, and other important information to insure the project advances with everyone’s cooperation. 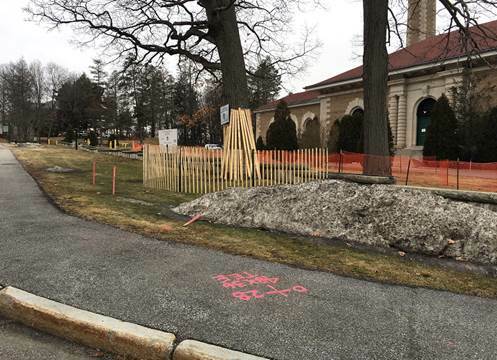 As mentioned you will begin to see this construction activity beginning the week of April 10th. Construction activity will increase as the weather improves. 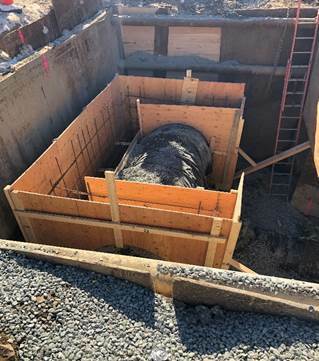 For more information on the project please visit the MWRA.com web site and search for The Northern Intermediate High (NIH) project. If you have any questions kindly contact MWRA’s community relations manager Jeff McLaughlin at 617-305-5762 or you may email him at Jeffrey.McLaughlin@mwra.com. 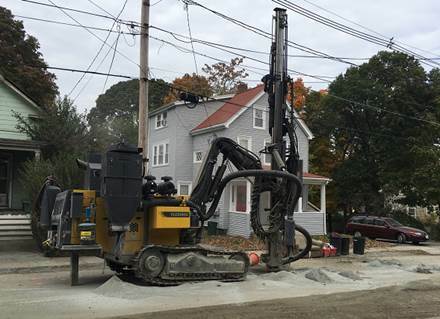 MWRA has recently developed a new notification system for communicating information to residents regarding construction projects, community meetings and more. Once you sign up you will receive periodic updates on the progress of the construction project. We encourage all residents to sign up at http://www.mwra.com/updates/everbridge/join.html. 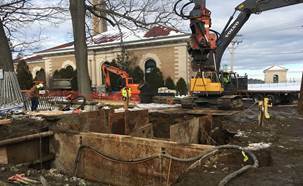 To receive electronic project updates please register your email address with the MWRA Alerts Service, provided through Everbridge. If you have any questions kindly email Jeff McLaughlin or call (617) 305-5762. We will post project updates in this section. 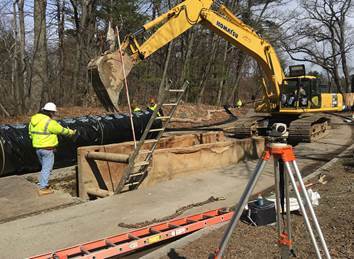 Contract 7067: the construction of 13,200 linear feet of 48-inch diameter transmission main in Stoneham. Construction of this contact is expected to begin in July 2016 and be completed by June 2019. Details and updates are on this page. Contract 7066: the construction of 2,400 linear feet of 36-inch water transmission main in Reading, coordinated with the MassDOT road reconstruction project on West Street. This contract was completed in May 2015. 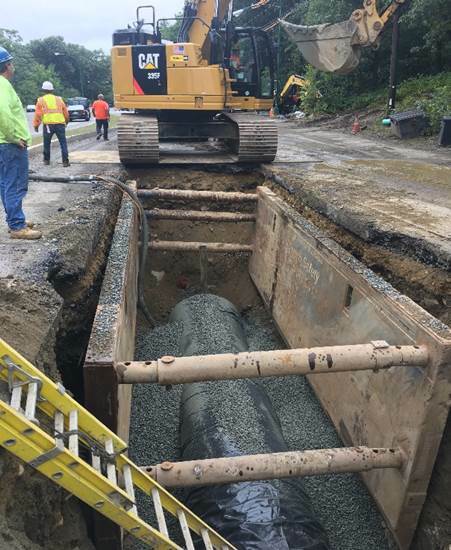 Contract 7471 (Section 110): the construction of 8,800 linear feet of 36-inch water transmission main Woburn and Reading. Work began on March 28, 2016 and is expected to be complete in December, 2017. 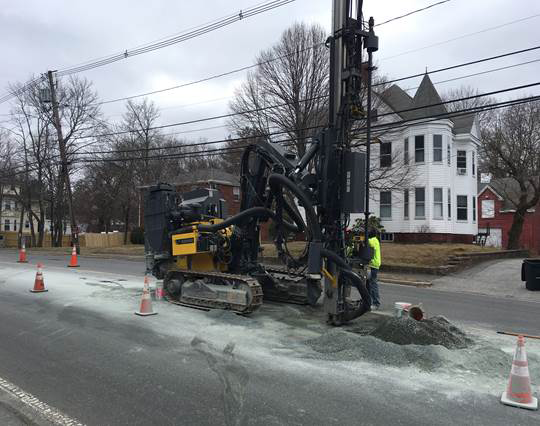 Contract 7478: the construction of 7,800 linear feet of 48-inch diameter transmission main in Stoneham and 3,000 linear feet of 16-inch and 12-inch diameter transmission main to serve new Wakefield Meter 96. Construction of this contact is expected to begin in May 2016 and be completed by December 2017.